From the BitTorrent main interface, click on Prefernces. Use the drop menu under "Choose your default player" to make your selection. Click on Apply and OK to validate. Published by jak58. Latest update on February 21, 2013 at 08:01 AM by jak58. 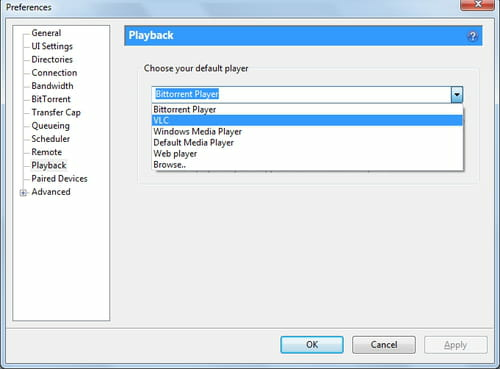 This document, titled "BitTorrent - Set the default media player," is available under the Creative Commons license. Any copy, reuse, or modification of the content should be sufficiently credited to CCM (https://ccm.net/).